A new Ford Shelby Mustang GT 500. The new version of Carroll Shelby’s classic modified Mustang. Pretty badass. 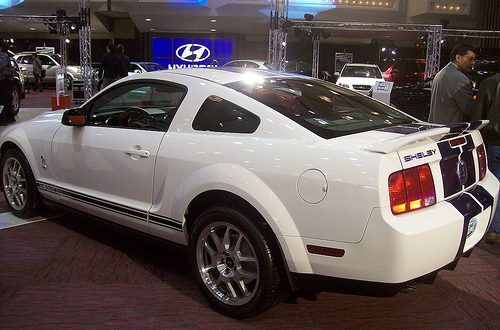 If I could own any Mustang, it would be this one (old version or new version), though I want one that’s blue with white stripes as featured in the manga Gunsmith Cats. Photographed at the 2007 Ottawa-Gatineau Autoshow in the Ottawa Congress Centre.